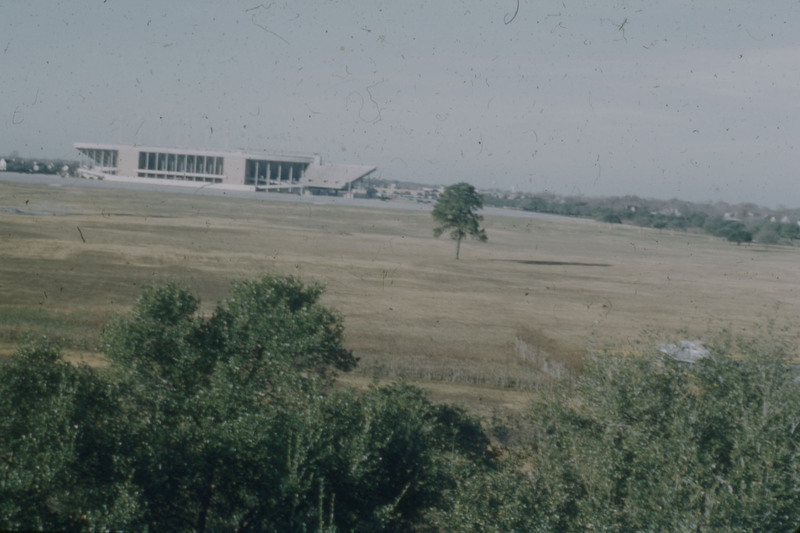 A little while ago someone asked in the comments about the lone pine tree that’s visible in many of the pictures of campus construction in the late 1950s. Is it possible that it’s still standing? This is worth a click. There's some interesting stuff in there and in the background. So the tree might be the same, but I do notice something different. 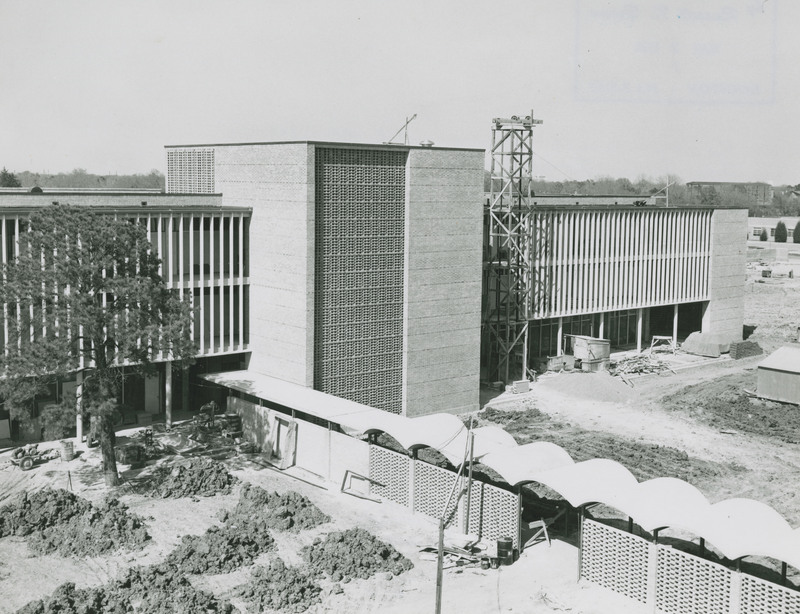 In the 1958 picture the tall central part of the building is made of the same latticed brickwork that you still see on the other buildings in the science complex, but in the picture from last week it’s glassed in. Either they changed it at some point or I’ve gotten myself turned around again. Security work? 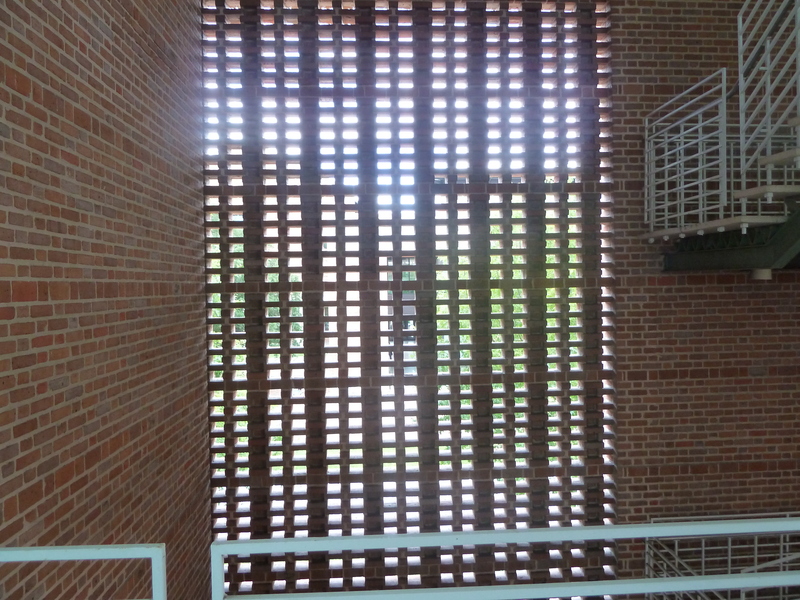 I know the stairwell was still brick lattice during my time as a student through the early 70’s and for many years after that. I recall some access restrict to the central stair during a visit to the department for an award presented to my daughter a couple of years ago. 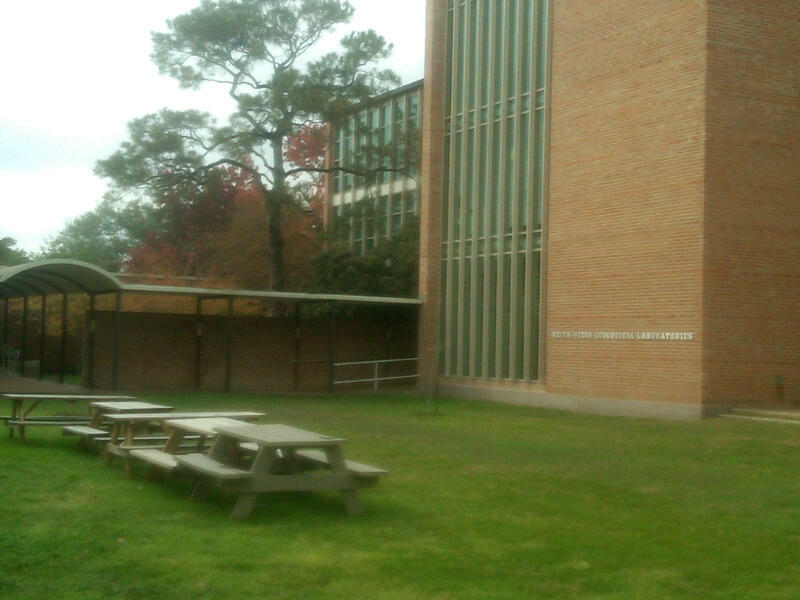 i am pretty sure that the glass was added during the renovations done to reduce direct access to the building. 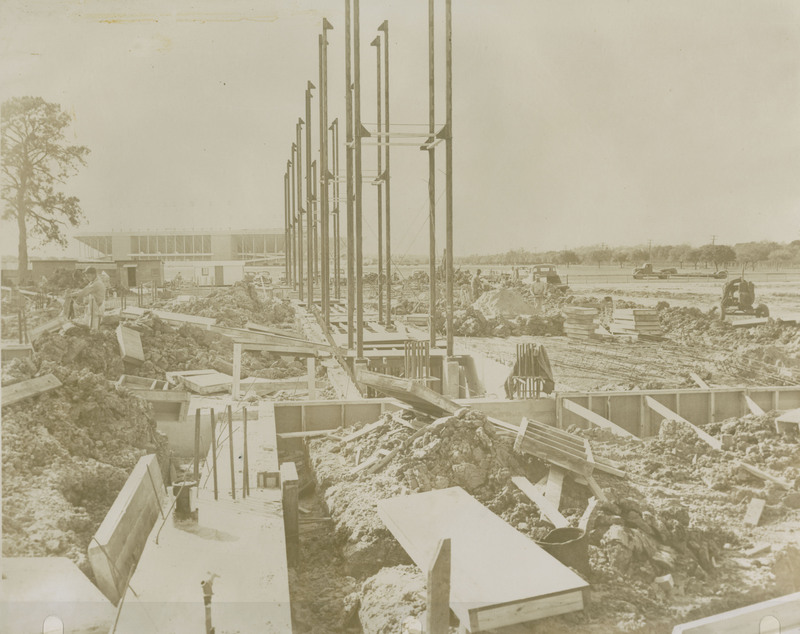 As I recall, Rice renovated at least the Biology and Geology buildings (and, perhaps, Space Physics), around the time that it built the gates for the minor entrances. Bill Cannaday did the design work. It was I who mentioned the big tree in some earlier comments. I am glad to hear it is still alive! Keith is correct. Up until the ’90s there were open concourses and stairwells and many offices opened directly to outside on the Science triplets. Space Science is the one which got glassed-in the most dramatically.